Through Cotswolds Broadband I have been looking at crowdfunding as a means of raising a significant proportion of the initial capital required to operate a new rural broadband investment fund. When you are talking about generating upwards of £5 million overall, it’s important to get it right, otherwise the business could struggle. So we are looking at how social media can contribute in reaching a wider audience of potential investors. This is an opportunity for investors to benefit from not only a slice of the equity, but from generous tax relief in the form of the Enterprise Investment Scheme (EIS), as well as future benefits on the successful performance of the business, so it’s all about reaching out to those who already understand the proposition. But are they on Twitter, Facebook and other social media platforms? I doubt it very much. However it’s the way these types of investment opportunities work that is the key to ensuring that the greatest number of touch points are exploited, not just a blanket coverage. The approach is like the difference between a blunderbuss and a sniper’s rifle: investors with significant tax obligations work through intermediaries; Independent Financial Advisers (IFAs) so it’s that group that we are targeting, and social media has a significant part to play. I’m not an advocate of social media advertising per se (personally I am not one who clicks on ads in my social media channels), but it certainly has its place, particularly with very focused campaigns, and even more so when a short window of opportunity presents itself. In this case the fund is open for less than three months, so it provides a useful means of quickly reaching a target audience with a CPM campaign to increase awareness and reinforce the opportunity. Other social media channels have their place, in this instance sponsored stories in Facebook are an effective means of targeting friends of those who already like a page or post. If the campaign has a local aspect or can be targeted at users’ Facebook interests, its effectiveness can be maximised. The crowdfunding platform itself should provide ample opportunity for users to share content out to their network, so where these shares and comments appear they can be maximised. So far, these touch points are generating low clickthrough rates, but in a CPM advertising campaign such as this, we are maybe more interested in reach than actions! 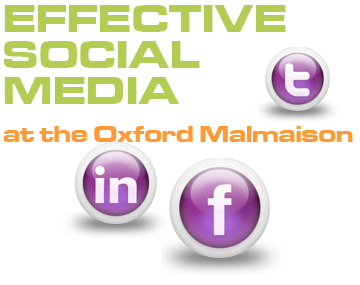 Find out more about social media marketing or get in touch to discuss these topics in more depth.